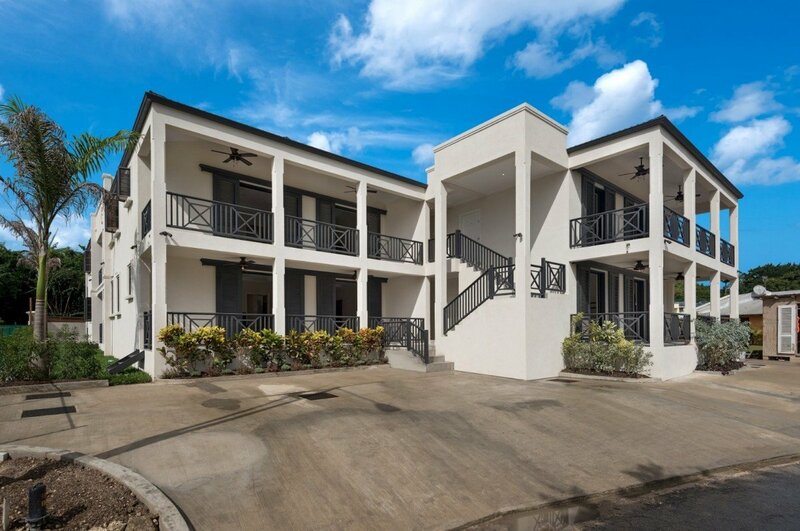 Clarence House 2, St. James, Barbados. 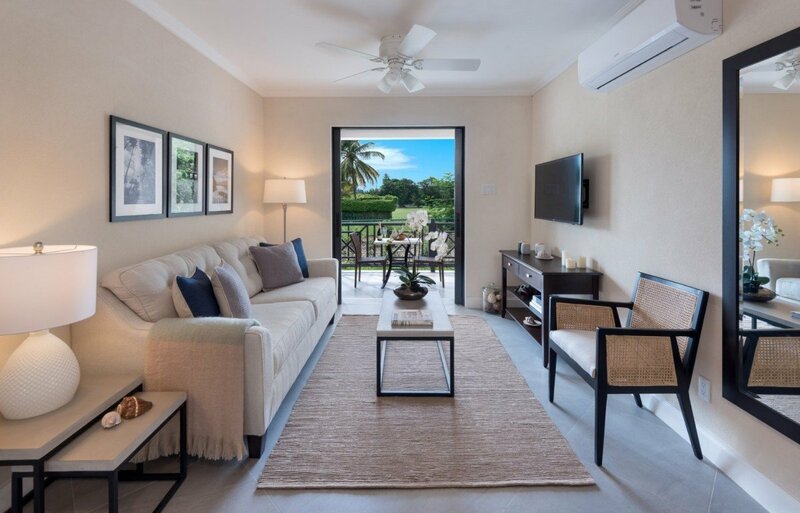 A cozy retreat, Clarence House 2 is a one bedroom vacation apartment that is just a few minutes walk from the Holetown and the platinum west coast beaches. Take a stroll to the Folkstone Marine Park and enjoy a day interacting with the sea turtles and colorful tropical fish. In Holetown, you can enjoy the world-class restaurants and the historic buildings. Take a dip in the crisp cool waters of the complex community pool that is tucked in behind the building. 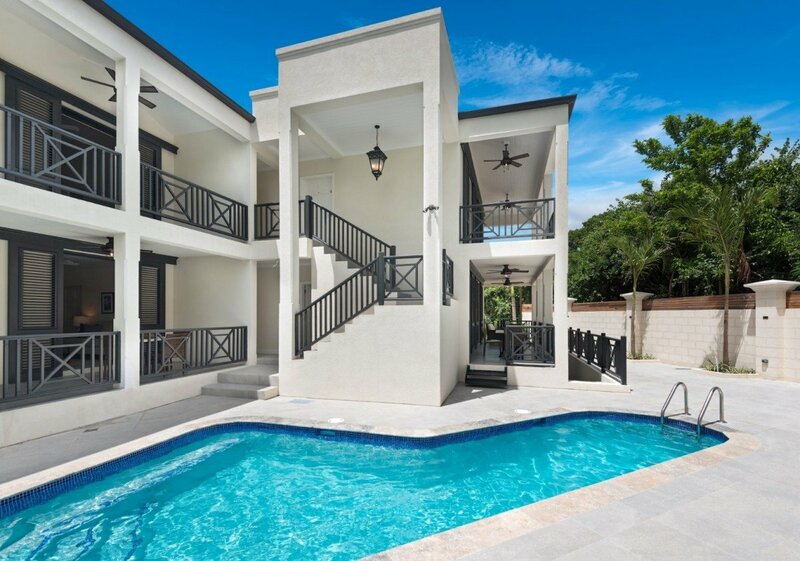 You can sunbathe on the clean white tiles while you enjoy the endless blue Barbados sky overhead. Enjoy a glass of wine or dine al fresco on your patio dining table while you breathe in the balmy tropical air. Indoors, you will find the apartment decorated in creamy neutrals with plenty of natural materials like rattan and jute. Pops of navy create a cohesive decor scheme throughout the apartment, giving it a very serene and calming feel. 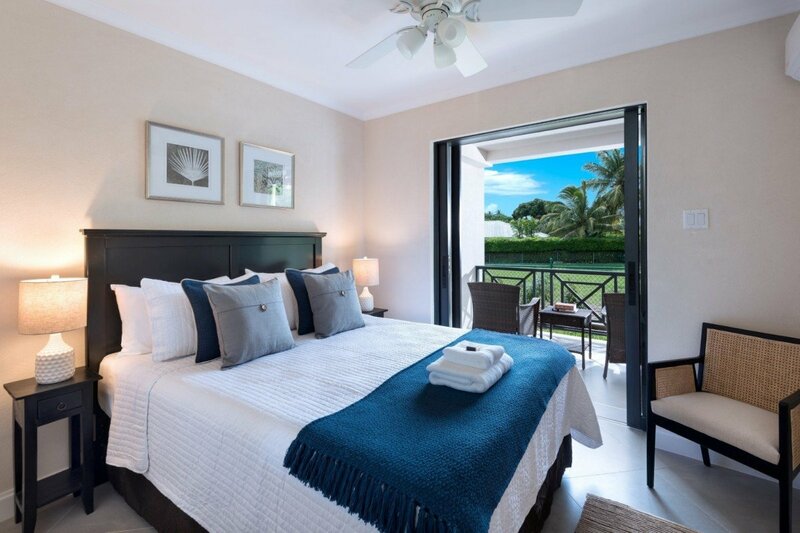 2 guests can call Clarence House 2 home making it the perfect romantic island retreat. 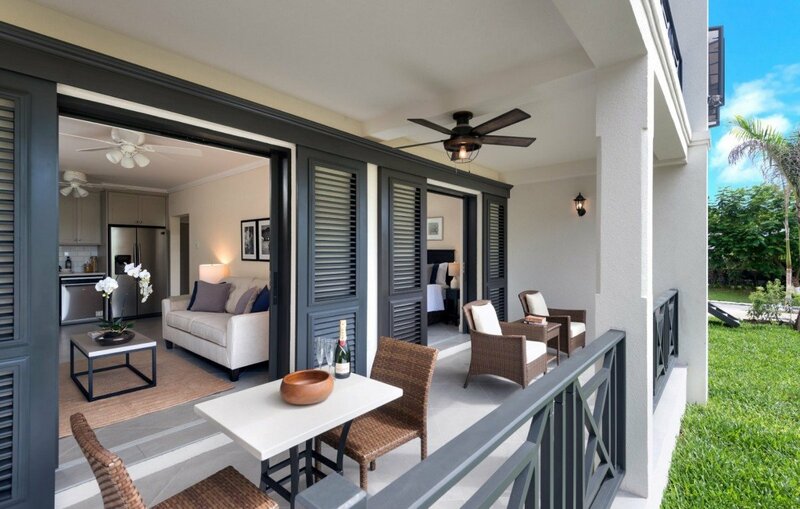 Enjoy a private Caribbean vacation as a couple or spend your honeymoon in this well-appointed apartment. The spacious master bedroom contains a queen-sized bed and ensuite. You will be perfectly comfortable with the air conditioning and a ceiling fan at your disposal. 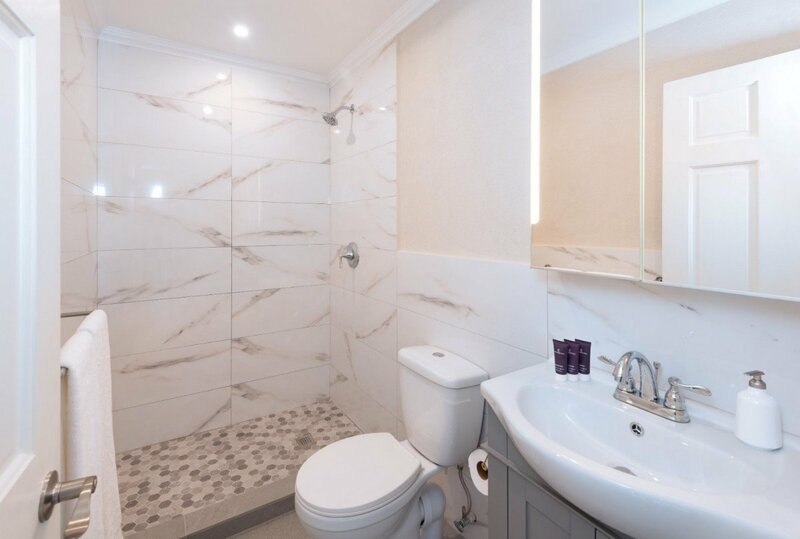 The large bathroom with marble tile gives the space a luxurious feel. 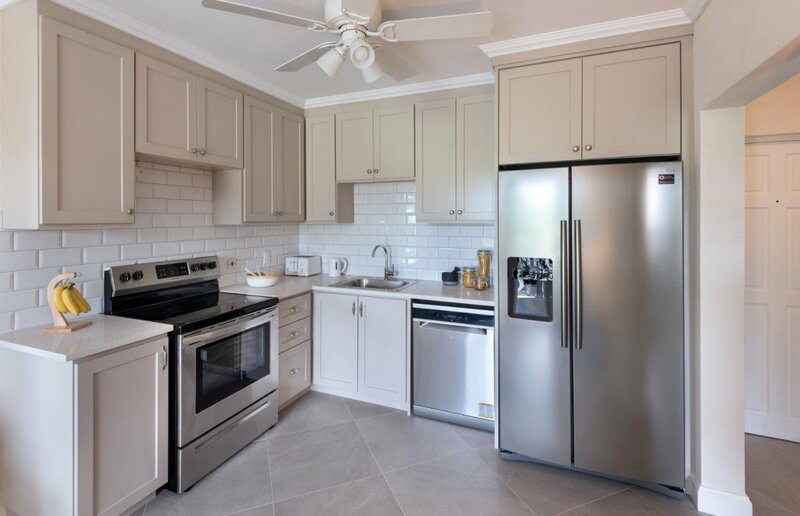 Plus, the large kitchen is well-equipped to prepare any meals you don’t spend eating in Holetown! You won’t worry about a thing when you are staying at Clarence House 2! The complex grounds are cared for by a gardener, and a pool person keeps the waters clean and sparkling. Plus, you will have a housekeeper at your disposal to help tidy thing up. Enjoy your little corner of paradise with this cozy isle retreat.